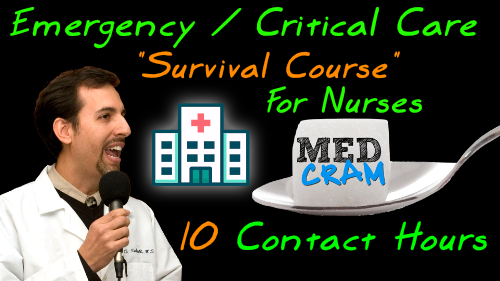 Visit our homepage for all MedCram lectures. 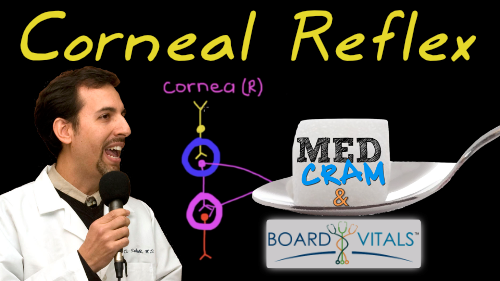 Dr. Roger Seheult illustrates the corneal reflex of the eye. Includes discussion on the direct and consensual corneal reflex and a failproof system for identifying the location (cranial nerves) of a lesion in the corneal reflex pathway. This question is taken from the BoardVitals USMLE Step 1 Bank and COMLEX Level 1 Bank. Roger Seheult on COPD Update! Should You Be Using Clinical/Bedside Ultrasound?